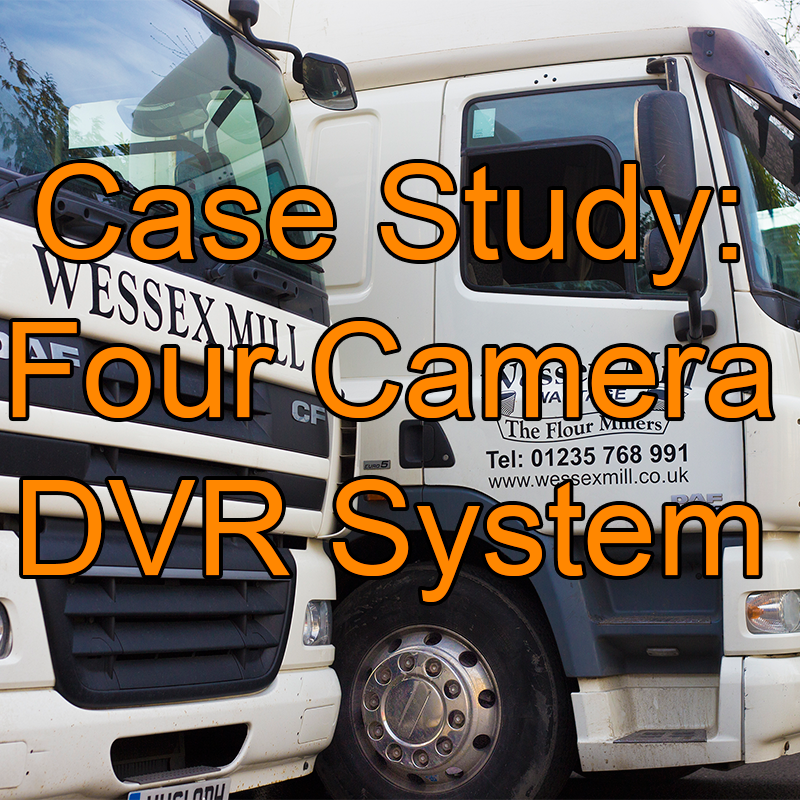 We have recently supplied and installed a four-camera vehicle system into Wessex Mills’ delivery vehicles. Wessex Mill is a family-owned business in Oxfordshire delivering high-quality flour products throughout the south west, London, the Midlands and Wales. You may be wondering why Wessex Mill considered installing cameras in the first place. Well, like many companies, they had found their drivers in situations where they had been involved in an accident but had been unable to prove their innocence – the knock-on effect being higher insurance premiums impacting heavily on the company’s running costs and reputation. 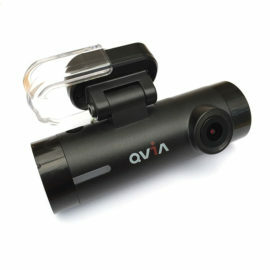 Alongside this, they wanted their drivers to see blind spots and have a good view behind their vehicle when reversing. 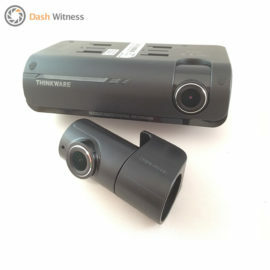 Following discussions with the company, Dash Witness concluded that a four-camera digital video recorder (DVR) system with a monitor would be the best solution for their needs and after seeing the kit in action, Wessex Mill decided to take the positive step of installing cameras in their fleet to provide insurers with the ability to identify fault should their drivers be involved in any further incidents. 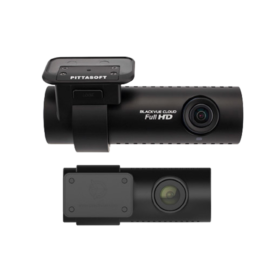 As a happy by-product however, they have discovered that the dash cams deliver so much more than a means of proving their drivers’ innocence. 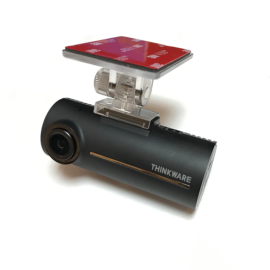 As other companies have found, the footage can be used as a training tool providing the basis for improvement and development by teaching the driver greater awareness of differing road conditions, safer reversing and enhanced spatial awareness. 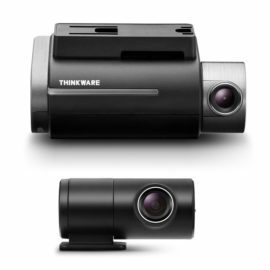 Companies using dash cams report great benefits to their operations, helping to optimise speed and fuel efficiency and improve safety and security on the roads. 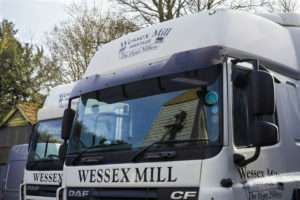 The Wessex Mill fleet was provided with front, rear and two side cameras ensuring good all-round vision and the ability to record any incident which may occur around the vehicle. 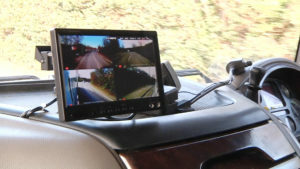 A monitor mounted on the dashboard becomes live when the driver reverses or indicates offering a full-screen view from the appropriate camera thus aiding navigation. After the order was placed, the kit was set up in the office before being taken to Wessex Mill. Our engineer Paul was extremely flexible regarding his attendance on site and the installation was performed at times to suit Wessex Mill, thereby minimising any disruption or inconvenience to their business. Following the installation, the customer was given a full demonstration on how to use the system ensuring they were happy with its operation. To find out exactly how they were fairing with the newly-installed cameras, we returned, armed with cameras to ask them. We had a great day’s filming – it was fascinating to see inside the wonderful old mill and witness the production process from raw wheat to beautifully-packaged bags of flour. 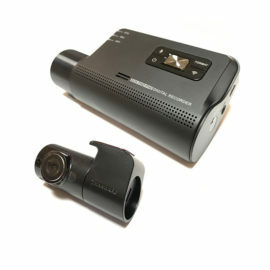 It was great to talk to them too, see the cameras in action and get feedback on this ‘great bit of kit’! Click on the video below to see their story. 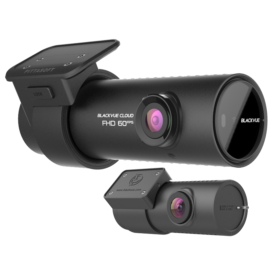 Congratulations to our dash cam winner!